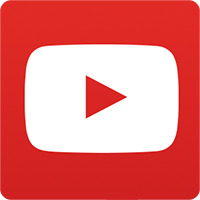 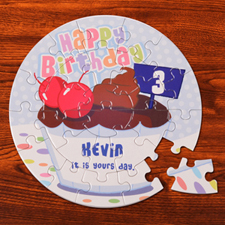 You're thinking what you can get you child on his next birthday that is engaging, educational and long lasting. 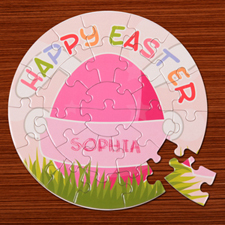 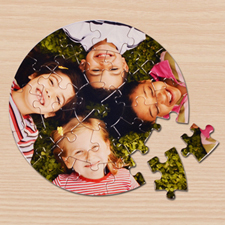 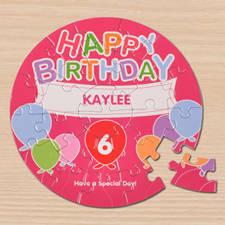 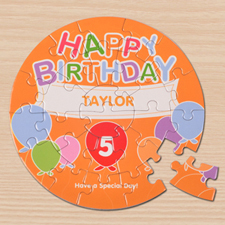 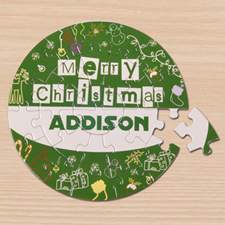 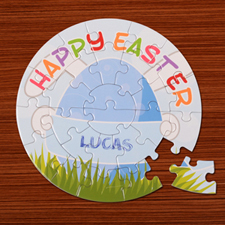 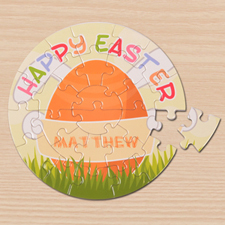 Our round jigsaw puzzles are the perfect choice for you to personalize with your chosen name, age and message. We have a range of attractive kids design templates for you to choose from or if you prefer, you can start from a blank puzzle and add your own photo or design onto it. 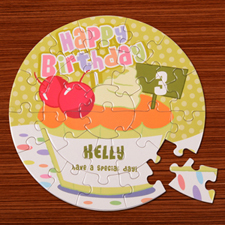 Puzzles comes in 26 or 72 piece sets, assembled in a pizza style box. 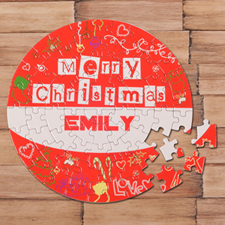 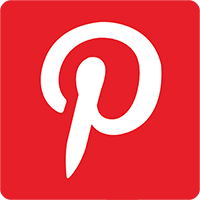 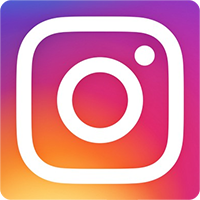 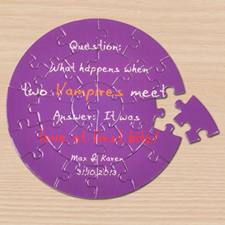 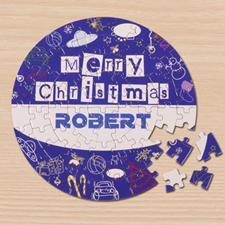 Printed with the highest quality industrial printers, rich in color and finished in high gloss on durable puzzle pieces, you can bet that your personalized round puzzle will last for years to come and stay looking new.